I woke up in the middle of the night the other night and was bleeding. The next morning, I went to my good doctor for a check up and an ultrasound. He told me that I have two uterus’ (called ‘uteri’, really), which may explain the bleeding. The uteri are only apparent now because my womb is getting larger. They’re heart-shaped – my doctor even drew me a picture. There’s a high chance of miscarriage in the second trimester (which could explain my previous two) as well as pre-term birth in the third due to the danger of my cervix shortening and then opening up too soon. Thank goodness the French are very attentive in their health care for pregnant women. You’re given a schedule of the tests that you’ll have, as well as the visits that you’ll have along the way, and specialists are frequently, and quickly, referred to. One test that both my husband and I are to take, is one that checks our chromosomes and DNA – it’s quite expensive, gets sent to Lyon, and has confidentiality statements attached to the prescriptions – kind of “Big Brother,” but still fascinating. The one that’s coming up for me is a comprehensive ultrasound that looks for the sort of thing that my doctor has just found, and measures the size of the nuchal folds; they’re on the back of the neck of the foetus and if they’re a certain thickness, there’s a good chance of the baby having Downs Syndrome. There’s also a blood test that complements this ultrasound and both happen here between 12-14 weeks. In the states and the UK, these tests are generally regarded as a ‘mid term pregnancy check’ and are done around 16-20 weeks. I believe the scale goes to 10k (as in, 1 in 5k, or 1 in 300 chance of a problem). If you have anything below a 1 in 250 chance of a problem, then you have an amniocentesis and the results come back a few weeks later. If you score higher than 250, then you have to go to another country to have an amniocentesis. I’m going to take my blood test in Chamonix and then go to an ultrasound specialist in Grenoble next week who will be able to do the scheduled test, confirm or disconfirm that I have uteri, and explore why I might be bleeding. I looked the doctor up online and he’s world class, which calms me. While online, I looked up the two uteri thing to find out if humans get this or if I’m some strange anomaly that’s more closely related to a sheep. It’s called Uterus didelphys (how do I even pronounce that? 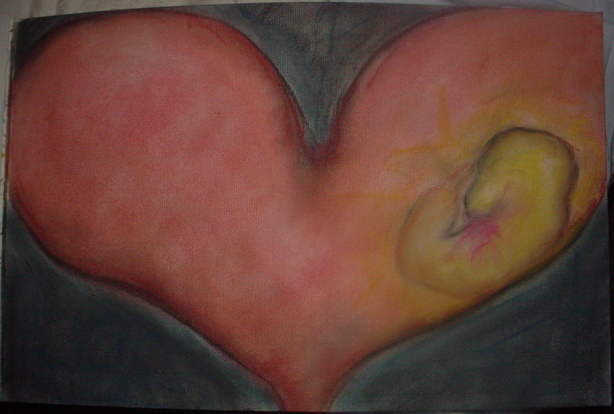 ), or a double womb. It’s not common. That said, a woman might never know that she has two uteri until there’s a complication in pregnancy, such as repeated miscarriages or placenta previa. Researchers aren’t sure what causes it. It’s possible to be pregnant in each of them (I’m not) but the likelihood of one or both of those foetuses’ surviving is unlikely. I looked up mammals that have them. A lot of them do, and even have two vaginas and two sets of fallopian tubes (I don’t).